^ a b c Stetson, Erlene; David, Linda (August 31, 1994). 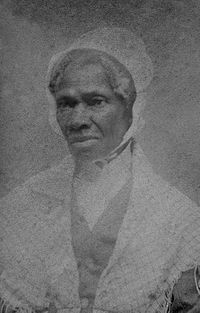 Glorying in Tribulation: The Life Work of Sojourner Truth. MSU Press. p. 1840. ISBN 9780870139086. ^ a b Midgley, Clare (2007). "British Abolition and Feminism in Transatlantic Perspective". In Kathryn Kish Sklar, James Brewer Stewart. 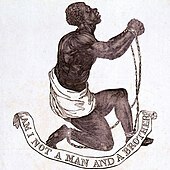 Women's Rights and Transatlantic Antislavery in the Era of Emancipation. Yale University Press. p. 134. ISBN 9780300137866. ^ Ducille, Ann (July 6, 2006). "On canons: anxious history and the rise of black feminist literary studies". In Ellen Rooney. The Cambridge Companion to Feminist Literary Theory. Cambridge University Press. pp. 37–38. ISBN 9781139826631. This page was last edited on 24 February 2019, at 19:56 (UTC).